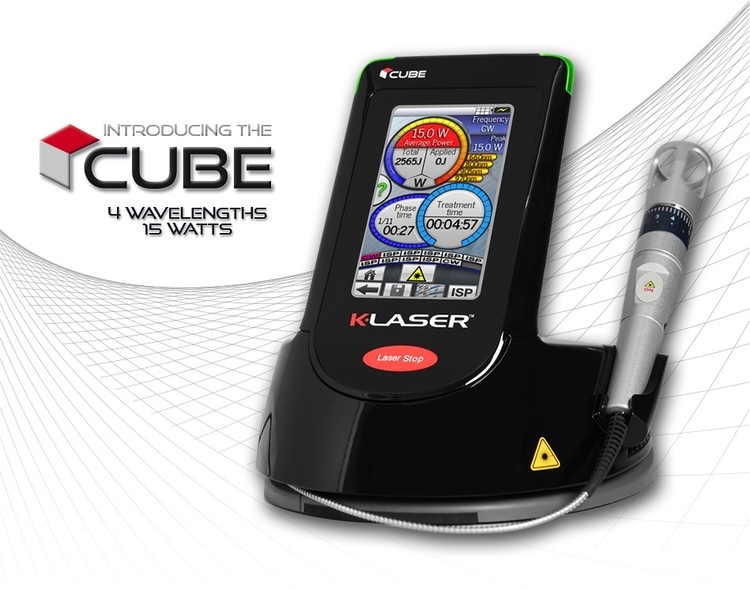 The K-Laser Cube is the most powerful therapeutic laser available to treat the body. Laser Therapy is a "light" therapy that has a specific band width and band range which give it properties that can stimulate diseased tissues to heal. Laser is used to treat chronic and acute pain. It can be used for persons suffering with back and neck pain or other musculoskeletal pains. It can also treat joint pain associated with arthritis, fibromyalgia, tendonitis, bursitis, neuropathy, achilles tendon pain, migraine headaches, sprains and strains, carpal tunnel and other associated pains. Laser therapy increases serotonin levels which help the body to heal. The soothing theramal effect sedates the area as it heals. Laser is one of the most effective healing therapies in health care. Completed in ten to twelve sessions, laser therapy is not only significant in reducing treatment times, it is cost effective as well. - Relief of Muscle and Joint Pain - Skin infections, including cold sores, warts, verruca - Relief of Stiffness, the Promotion of Muscle Relaxation.